There were over 1,000 opioid overdose deaths in the state of Connecticut last year, 82 in New London County alone. “I think with this epidemic, no matter where you’re at, what community you’re in, it can happen. I think it’s going to become more common place,” said Norwich city zoning enforcement officer Richard Shuck. Outreach efforts, access to treatment services, and stigma are just some of the many challenges individuals needing assistance face on a daily basis. Reliance Health, Inc., in partnership with United Way of Connecticut 2-1-1 services, is pleased to announce that as of July 30, 2018 Recovery Coach services are available throughout the greater Norwich community. This 6-month pilot project will provide motivational engagement, inspirational support, and connections and linkages to resources for individuals who experience problems or stressors in their day-to-day life due to their relationship with drugs and/or alcohol. In response to the on-going epidemic of alcohol and drug related issues facing our communities, the Reliance Health Recovery Coach will spearhead a coordinated approach to assisting individuals in accessing acute and long-term recovery services. Individuals in the greater Norwich area seeking assistance can call the 24-hour 2-1-1 hotline to request Recovery Coach assistance through Reliance Health. The Recovery Coach works directly with persons seeking assistance to create individualized recovery support plans to include everything from meeting basic needs, to accessing a detox bed, to providing longer term recovery supports. Since the inception of the community-based Recovery Coach pilot program in Norwich, 27 individuals have already been assisted and linked with treatment, recovery support services, and/or basic needs such as housing, financial, and medical resources. The Recovery Coach works with individuals to empower them to lead their recovery plan, shorten the time it takes to get into treatment, lengthen the time that recovery is sustained, and engage natural supports such as family members and loved ones in the process to ensure the greatest chance for success. For someone looking for help, it’s as simple as calling 2-1-1. Local community providers working in collaboration as part of the Norwich Community Care Team and the regional Heroin Task Force are united in their efforts to address the growing concern of alcohol and drug use in southeastern Connecticut, and grateful for the opportunity to have such a resource at their disposal. Throughout the Norwich community individuals from across many disciplines have contributed to this on-going effort, from social service agencies, to first responders, the business community, and local schools. 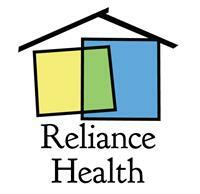 Reliance Health is a non-profit community mental health center on a mission to enhance health through mental wellness. With over 40 years of providing quality care, Reliance Health offers a variety of recovery oriented services such as homeless outreach and engagement, individual and group therapy, medication oversight, supportive housing, residential supervised housing, social rehabilitation services, employment and education supports, service coordination, transportation and supported living. Reliance Health is an integral part of the community network of service providers and community stakeholders, determined to collaborate for the purpose of building a cohesive community.